Josh: As we are both the eldest sibling in our families, I wonder, do you have any memory of your younger sibling arriving into your life? I don’t, but I do have a hazy memory of realising all of a sudden I would have to share. There’s a picture of me holding my younger sister gently, but my parents have informed me we didn’t always get along. In fact I’m told I made my sister cry often. Saskia: One of my earliest memories is of the closed door my brother was being pushed into the world behind. From there it’s a cloud of angst and jealousy as I was no longer the centre of attention. Luckily from time to time he had his uses – like when I needed something to dress up or try out makeup looks on (with felt tip pens). But we were definitely more often at odds with each other over the early years than not. Josh: Perhaps we both would have benefited from our future teenage sibling visiting us and explaining how to be a better brother/sister. But I’m pretty sure we worked it out in the end right? – I don’t fight with my sister anymore… well, we don’t fight much anymore. Saskia: I’m going to get a little serious right now. If I could go back and tell tweenage Sas to be a better big sister, I would (not that younger me would even consider listening). My brother is now one of my most valued friends – it’s a relationship like no other. It’s taken a long time to figure out how to resolve conflicts and years of fighting/grudge-holding – but I’m so glad we did it and I have an excellent little brother! 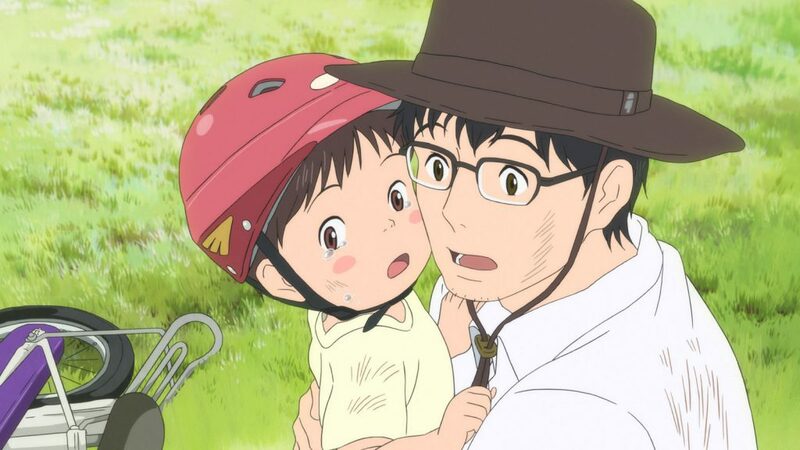 Josh: Mirai is all about 4 year old Kun learning how to live with the new arrival of his baby sister. At first Kun is excited about the new addition to the family, even being the one to suggest her eventual name Mirai (meaning“the Future”). But when he realizes that he will no longer have the full attention of his parents, yelling, screaming, tears and tantrums ensue. So basically, Kun is a normal 4 year old. 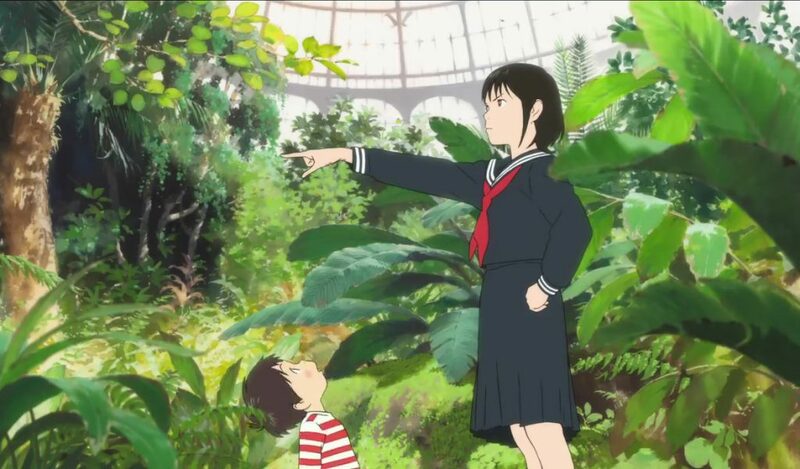 Mamoru Hosoda’s attention to detail really cemented this story’s believability. The way that Kun sleeps will be noticed by any parents of younger children, folded up with his bum in the air – or child’s pose for anyone who does yoga. Saskia: What really stood out for me was the exploration of how a couple’s relationship changes and grows after having children. It was a subtle sub-plot, but a very well-delivered and powerful one. Hit me right in the feels! I saw a lot of parallels between Kun’s parents and my own relationship with my husband after the birth of our daughter. 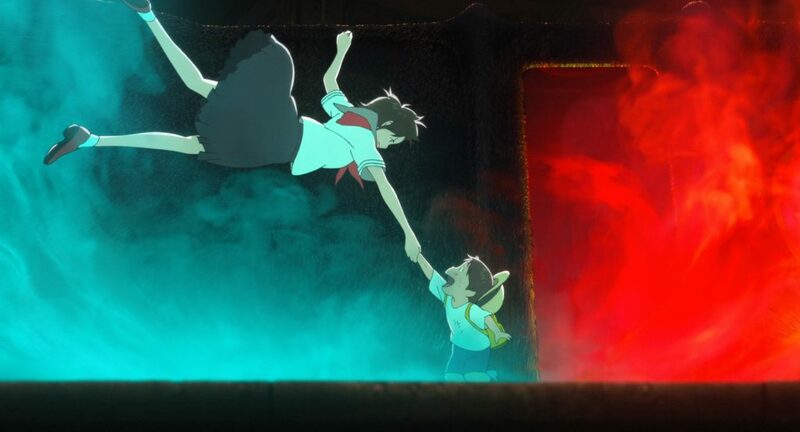 I also loved how you get to see Kun’s parents as kids struggling with different issues in similar ways to Kun. It’s so easy to forget that your parents were also dumb kids once. Really they’re the same dumb kids walking around in adult bodies, pretending to know what’s best. 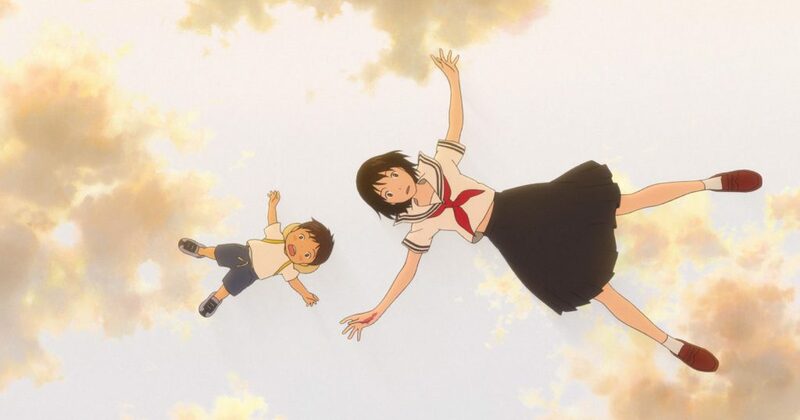 Mirai ponders on such ideas in such a beautiful and memorable way – as only, perhaps, an anime could. Josh: And that’s what I really loved about this film, even though it has moments of fantasy, magic and time-travel, it’s so down to earth. The story is relatable to anyone who has a brother or sister, or has been a mother or father, or has a mother or father – pretty much everyone. The line between reality and fantasy is blurred so beautifully, it all seems so realistic. Quite a few times I had to remind myself I was watching an anime.